Eucass is launching a novel news bulletin with the objective to promote innovation and advertise the scientific discoveries concerning European aerospace R&D (including Russia). The goal is to bring the new ideas to the attention of all the players in Academia, Agencies and Industry as fast as possible, and, to the extent possible, even before publication. This approach is to accelerate the dissemination of ideas, reduce the time to market of breakthroughs, enhance the visibility of European journals and conferences. We also wish to promote cross fertilisation between the pure aerospace labs and those that, while they serve other economic sector, explore scientific approaches that might also benefit aerospace. Therefore, the production of groups affiliated to learned societies like CEAS (http://www.ceas.org), Eccomas (http://www.eccomas.org), Ercoftac (http://www.ercoftac.org), Euromech (http://www.euromech.org) and Euroturbo (http://www.euroturbo.eu) will also be monitored and reported in the bulletin pending an accord with them. This is under discussion in the framework of a collaboration started at the instigation of the European Commission via the E-CAero (http://www.e-caero.com) contract. As a first step the TC members have been asked to submit the scientific breakthroughs that caught their eye. Needless to say, you are also welcome to bring to our attention notable papers that you have detected. You may also submit your own work if you consider it to contain significant added value. All material submitted by you will be rapidly examined by the relevant TC experts to ensure that no time is wasted. The news bulletin is also to feature tables of contents of Journals and announcements posted on websites in English. Last, it will reach you every second week at the beginning. It is distributed free of charge to Eucass members. Upon request and contingent upon their contributing to the compilation of relevant articles, members of the other societies party to the E-CAero project will be offered to receive this newsletter. Graphene, a sheet of carbon an atom thick, has recently been recognized by the 2010 Nobel Prize for Physics. Annick Loiseau reviews the research at Onera on this revolutionary material. For more info, check this link. To appear in the journal soon (check from time to time here) is the following article. The multi-disciplinary optimization of a CubeSat satellite is performed using gradient-based adjoint methods. A total of more than 25,000 design variables are considered in the analysis of orbital and attitude dynamics, solar cell illumination, heat transfer, solar power, energy storage and communication.. It the volume N. 28 (see here) the following article could be of interest. 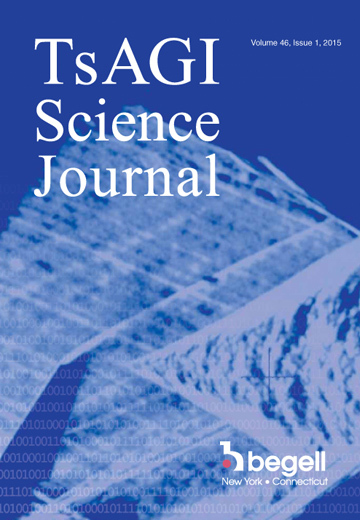 The Volume 44, Issue 3 of 2013 has been published (see here). 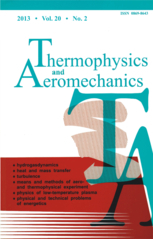 The new volume 20, Issue 4 of December 2013 has been published (see here). The new volume 228, January 2014 has been published (see here).